Look for the Kids Market tomorrow. 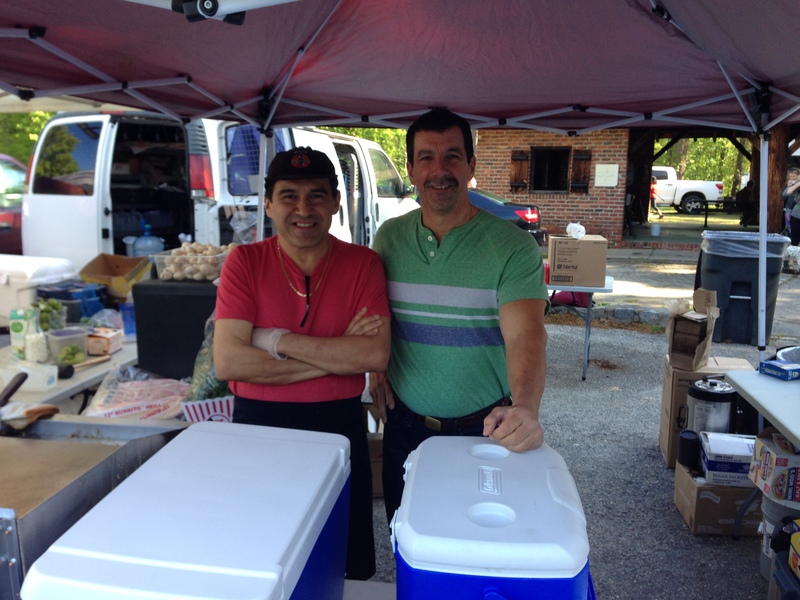 These young entrepreneurs are bringing items they have made, cooked or grown themselves. 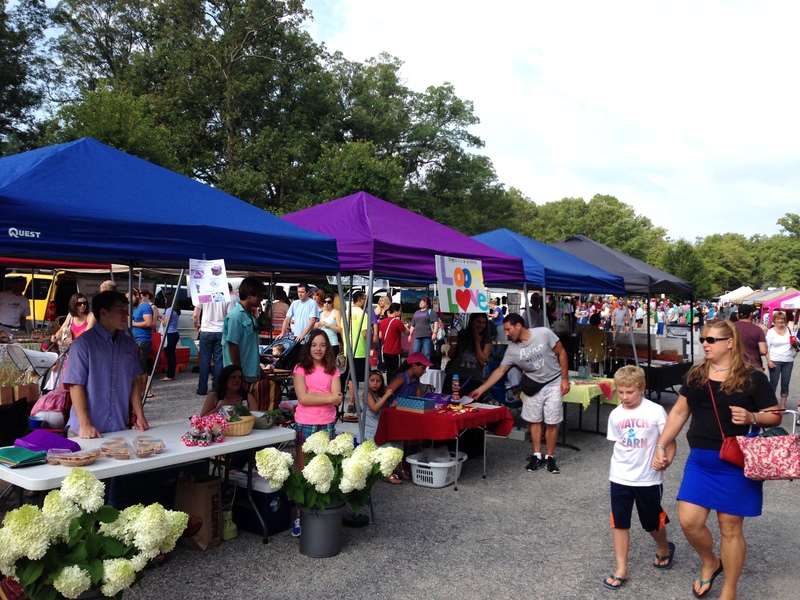 We have six kid businesses vending: Chubby Bird, Poptop Plus, Sugar & Spice, Loving Hands Butter, Eden’s Fabrics, Connor Jenkins Photography and YOUNIQUE. 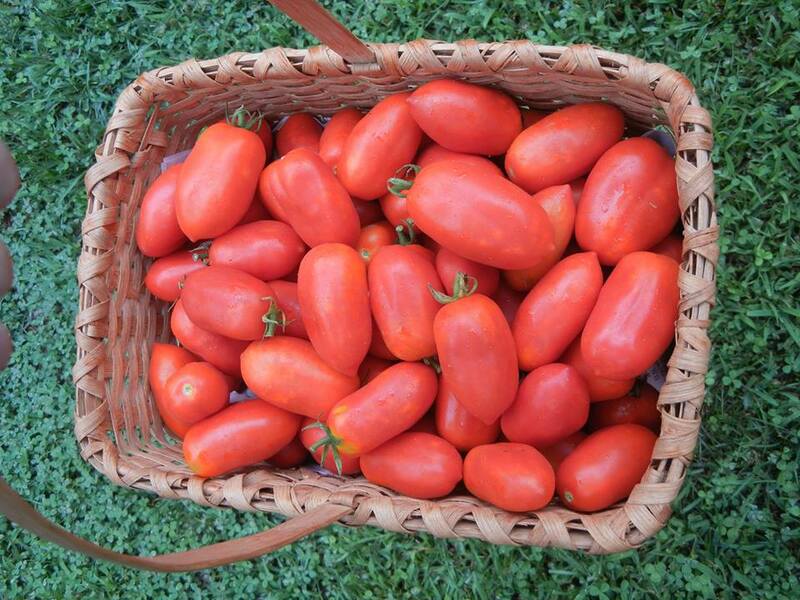 Casselmonte Farm is bringing San Marzano tomatoes – The most famous of their Italian sauce tomatoes. Originally grown from organic Italian seeds and now the third generation in their soils in Powhatan County. 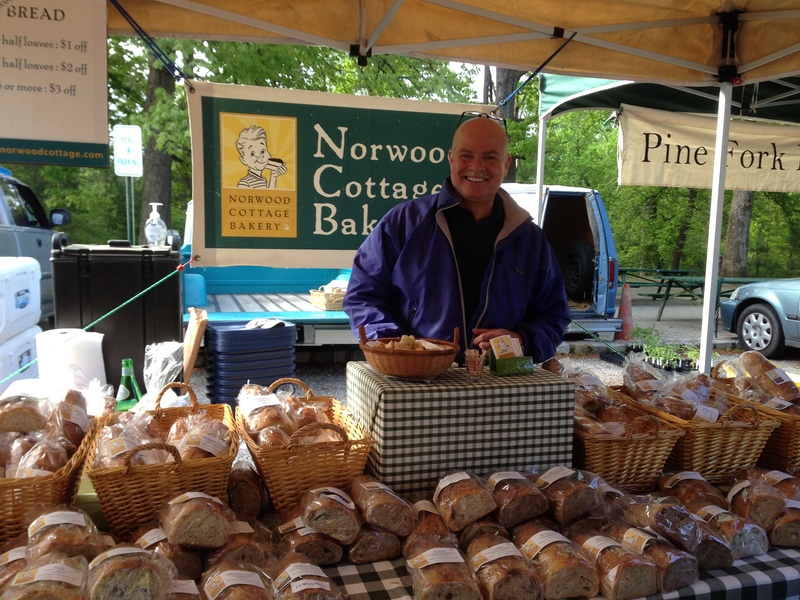 Since Norwood Cottage Bakery sold out of their amazing bread last week at 10:30 am, they’ll be baking extra loaves which will hopefully last through the morning’s market. Kipps Grapes is bringing Grape Jelly, Apple Butter, and Peach, Cherry, and Strawberry Jams. They will have jelly made from 3 varieties of grapes open for taste comparisons. 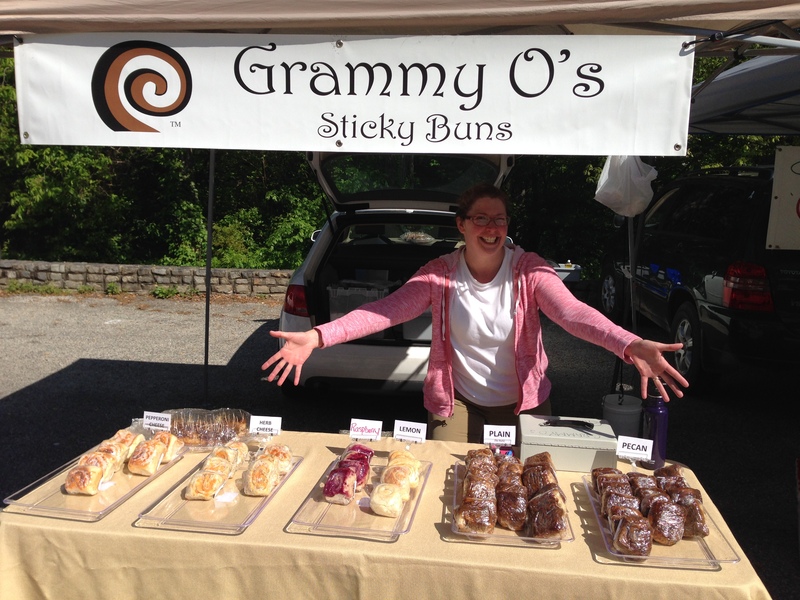 Grammy O’s will have pepperoni sticky buns! 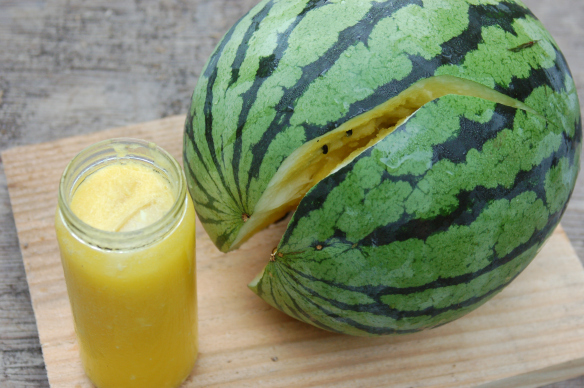 Broadfork Farm has yellow watermelons this week. 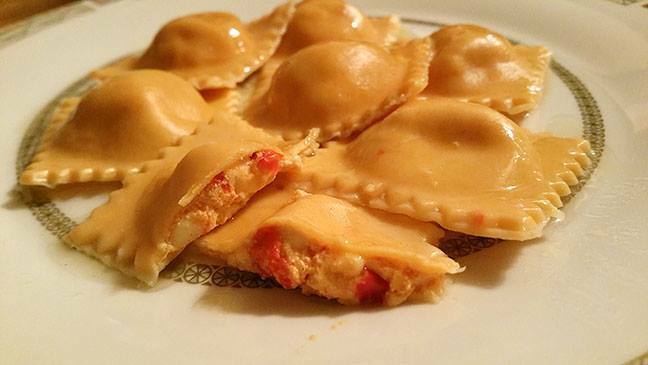 International Dumpling Company will be introducing their latest seasonal creation: Roasted Red Pepper and Gorgonzola Ravioli! This delicious dumpling features roasted red peppers in both the filling and dough giving it a distinctive color. They usually run out of their specials early, so make sure you stop by! And, they are all stocked up again with Cherry Mascarpone Pulumpas, the tasty dessert dumpling created exclusively by them! 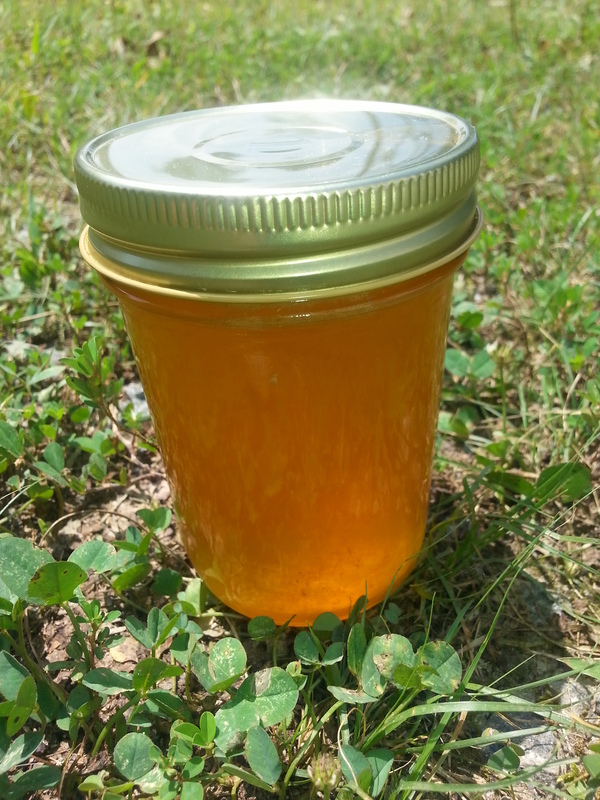 Black Boar Farm will have cantaloupe jam. 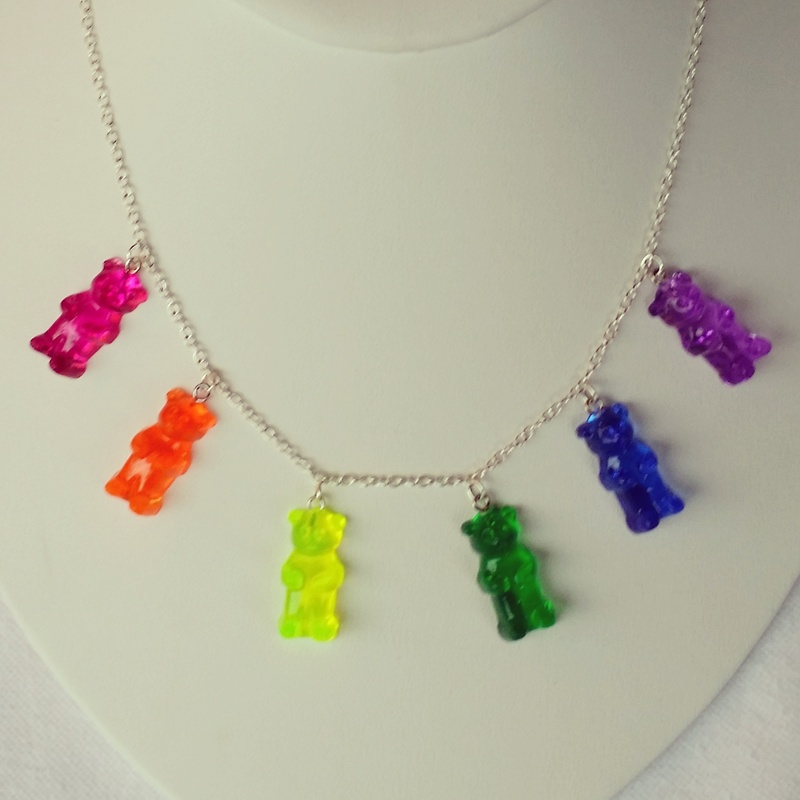 Jewelry by Leann and Teresa will be back with a rainbow of gummy bear jewelry this Saturday! 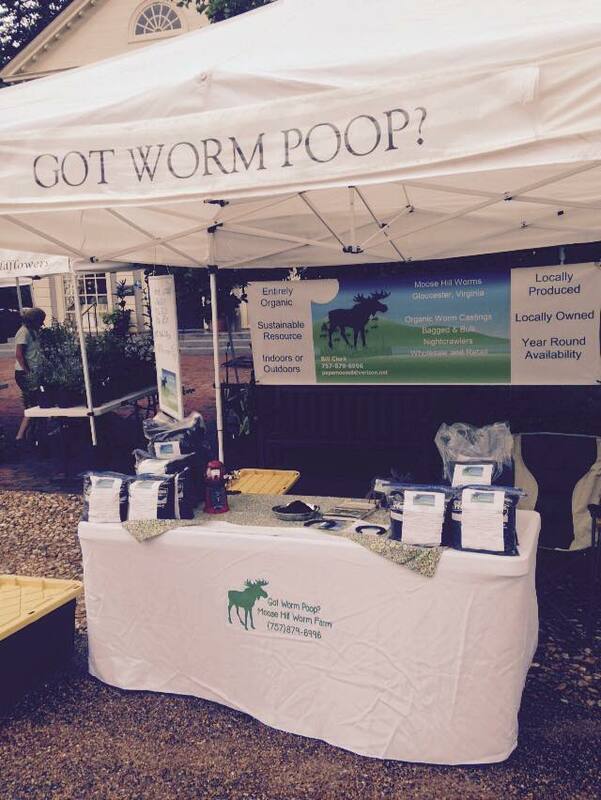 Moose Hill Worm Farm is back with their worm castings for your garden. They also now have “Got Worm Poop” Tshirts for sale. 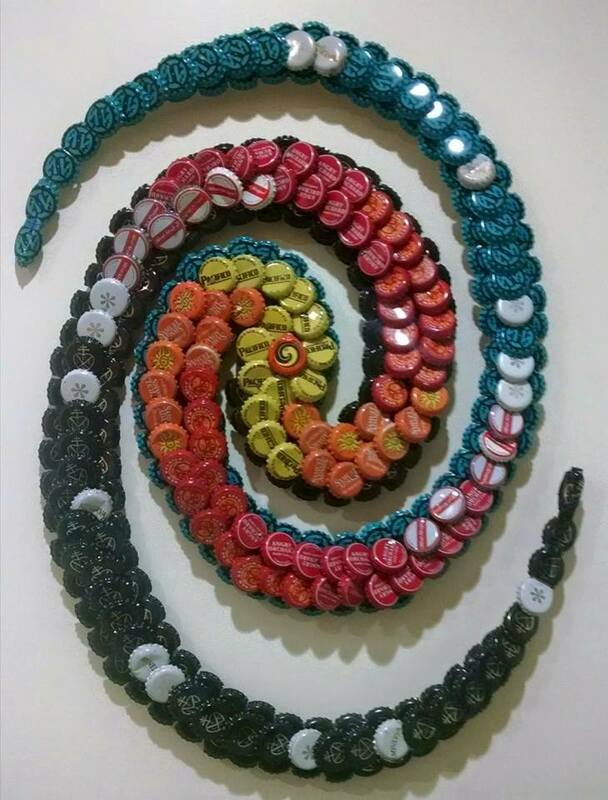 Capworks is back with new art made with local brewery caps! That’s just a sampling of what the market has in store for you. 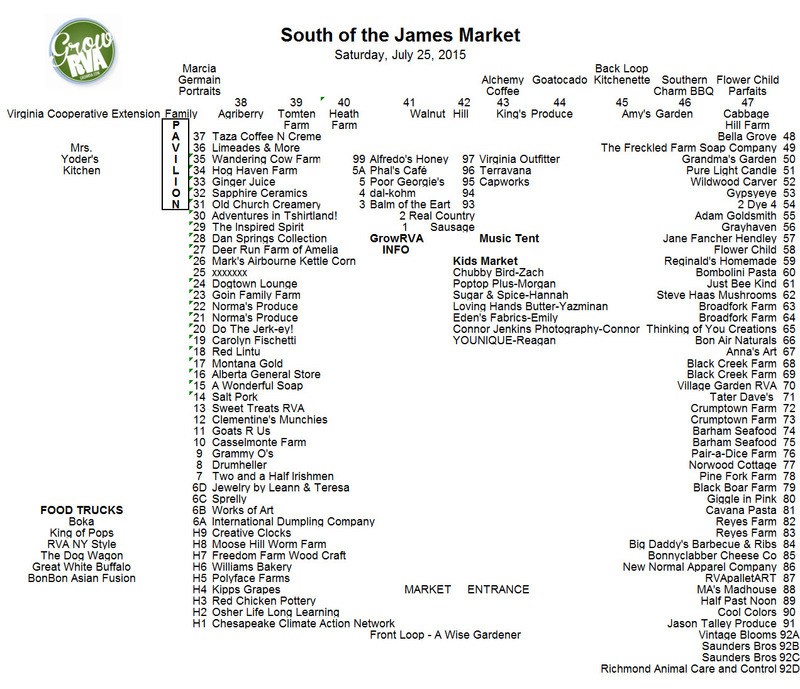 Here’s the full vendor map below. 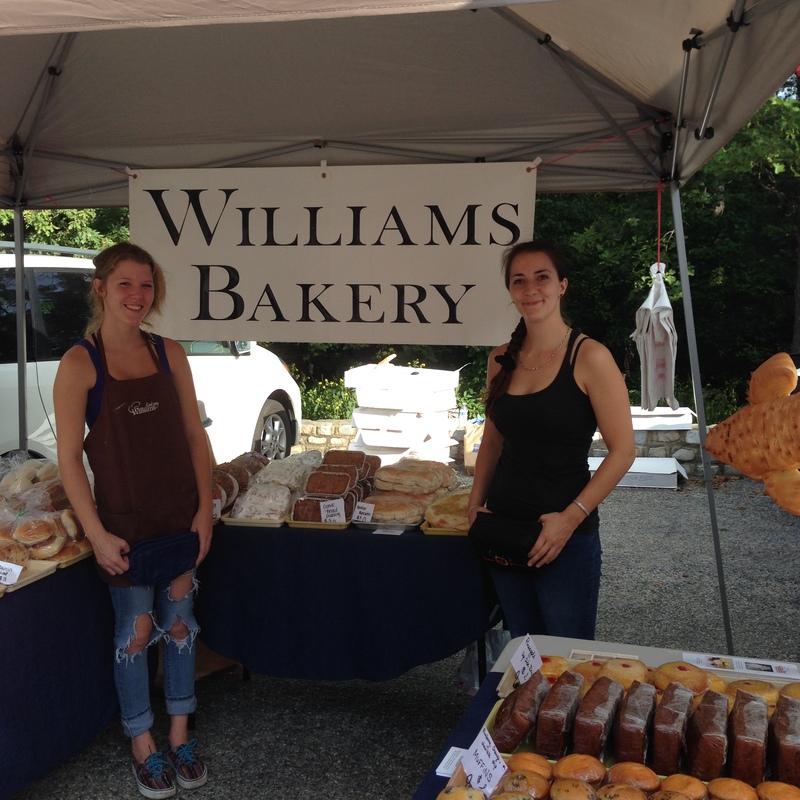 Get your shopping bags ready … Market tables will be loaded with local food and art!